We do have interns that work with us everyday. 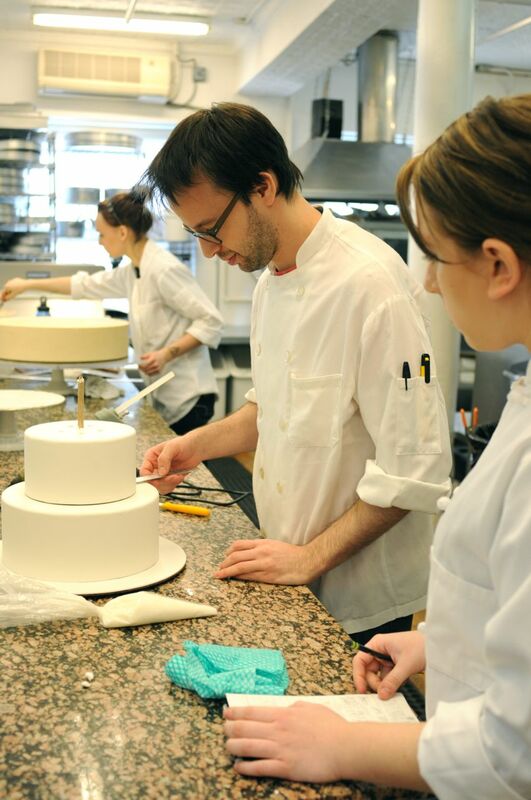 (Of course they go through our vetting process and if you are interested in interning and have just recently finished pastry school, you can click here for more info http://www.weddingcakes.com/#/about/teaching/). Everyday is a teaching day. Our interns not only learn as a group, but also one-on-one instruction. Today, our newest intern Marisa is learning how to stack a cake. One of the first things you learn here at RBI Cakes – you must have a sturdy foundation. 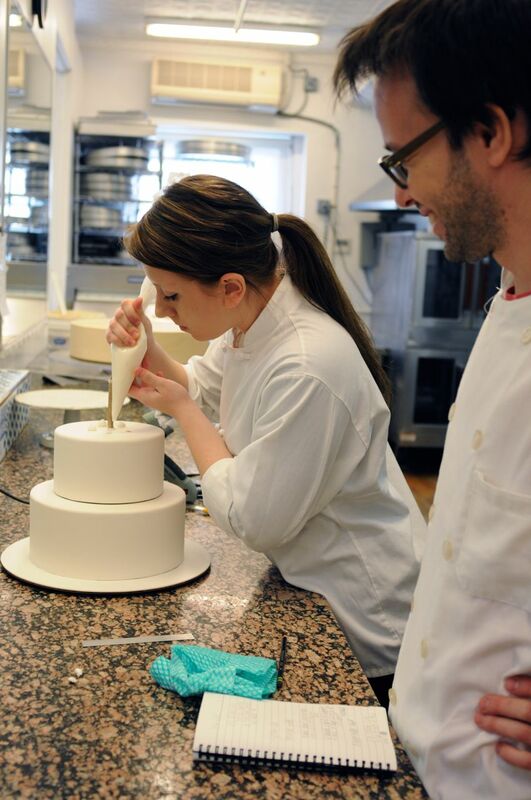 Our production manager Jason is showing Marisa how to measure the tiers when stacking a cake so it's even all the way around. Marisa is applying royal icing to the tops of the dowels before she stacks the top tier. I really admire your approach. Teaching is the very basis of achieving continuous high quality consistency. i so want to join here,once i finish my pastry school at FCI..!